On Sunday, March 24, 2019 at approximately 1208 hrs, a Gilmer County deputy stopped a black Chevrolet Silverado for speeding and window tint. 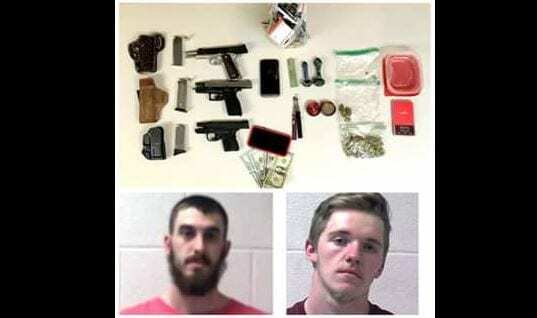 Upon making contact with the driver, Bradley James Stone, and the passenger, Henard Alexander Blackwell, the Deputy could smell an odor of marijuana coming from the vehicle. A consent search of the passenger revealed a marijuana pipe that both the driver and passenger had admitted to using while driving. A probable cause search of the vehicle by the K-9 and the Deputy revealed the following: three clear plastic ziplock style bags containing marijuana, a red set of digital scales, a green marijuana pipe, a red marijuana grinder, two vape pens with suspected liquid THC, a Kimber 1911 .45ACP, a Springfield XD-9mm, a Springfield XDS 9mm with additional ammunition. Mr. Stone, age 28, was arrested and charged with the following: Marijuana with Intent to Distribute, Felony Marijuana, Marijuana Less than an Ounce, Drug Related Objects, Possession of a Firearm by a Convicted Felon, Possession of a Firearm During the Commission of a Crime, Window Tint, Tinted Tag Frame, and Speeding. Mr. Blackwell, age 19, was arrested and charged with the following: Marijuana with Intent to Distribute, Felony Marijuana, Marijuana Less than an Ounce, Drug Related Objects, Possession of a Firearm During the Commission of a Crime. The Gilmer County Sheriff’s Office is filing for seizure on all three guns and the $406 in U.S. Currency. 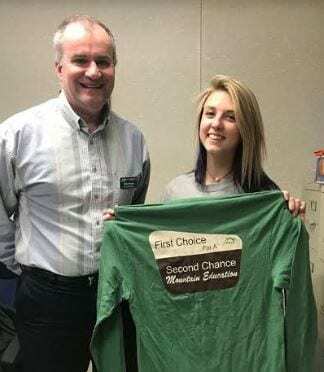 Tonight was January’s Attend to Achieve Night, Mr. Palmer gave away an Apple Watch, and gift cards. 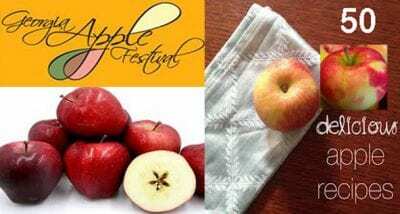 Students collected tickets over the month for attendance, completion of modules and or courses. Students are rewarded every month for their hard work and attendance with different awesome incentives. Tonight’s gift card winners: Autumn Holt, Jacob Fullwood, Lauren Newton, and Allison Elliot. Also pictured site administrators: Lori Chastain and Mike Putman. Gilmer MECHS is proud to announce our staff member of the month, Jan Allen. Jan goes above and beyond to ensure her students know the standards and have great knowledge and love of the content. She works well with her colleagues and students! 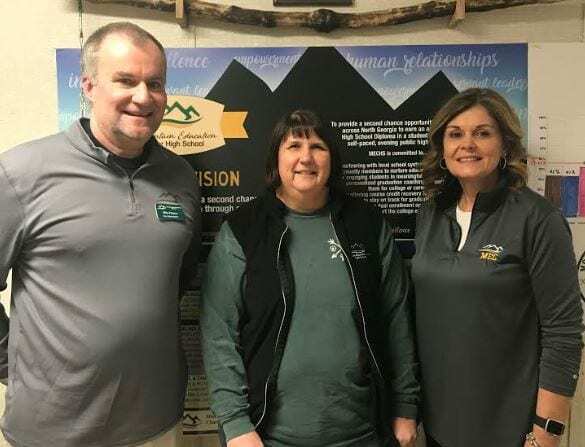 Jan Allen is pictured with site administrators, Mike Putman, and Lori Chastain. 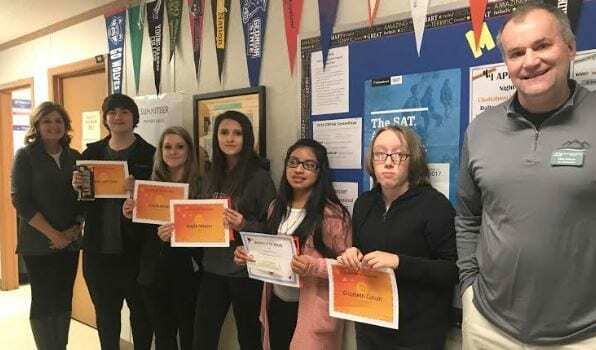 Gilmer ECHS Students of the Month for each of the following areas, Math, ELA, Science, Social Studies, and overall module completions. Pictured below L to R: Lori Chastain, site administrator, Eddie Jackson, Kayla Alred, Kayla Waters, Candelaria Reynso Andres, Elizabeth Corum, and Mike Putman, site administrator. 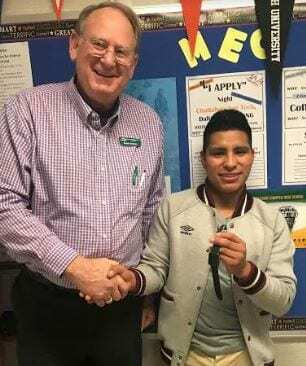 Mr. Palmer, Gilmer MECH’s Parent Liaison, proudly announced January’s Attend to Achieve Apple Watch winner: Francisco Alonzo. 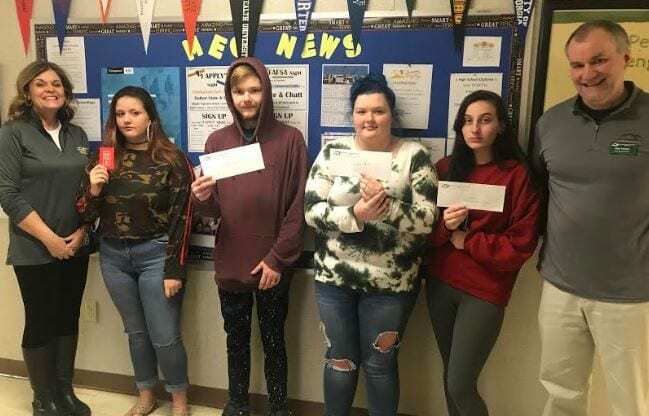 We are so proud of our Gilmer MEC Dual Enrollment students who are attending Chattahoochee Technical College Spring of 2019! Good Luck, Haley Miller, Karol Garcia & Emily Powell! You’re going to do awesome things! 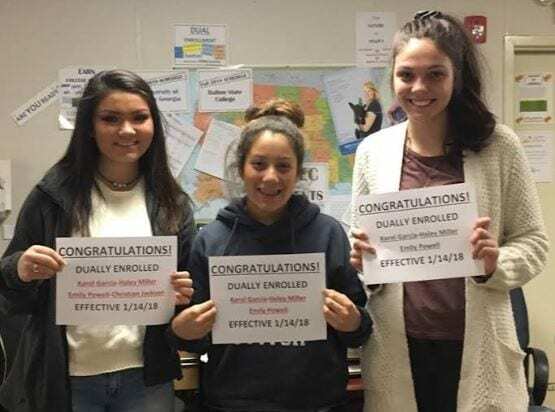 Thriving Threads is an initiative that encourages ALL students to do their best on EOCs. When students show growth and excel, they are rewarded! Congrats to (below L to R) Christian Bramlett, Isaac Mullinax, and Houston Ledford for rocking their EOCs! 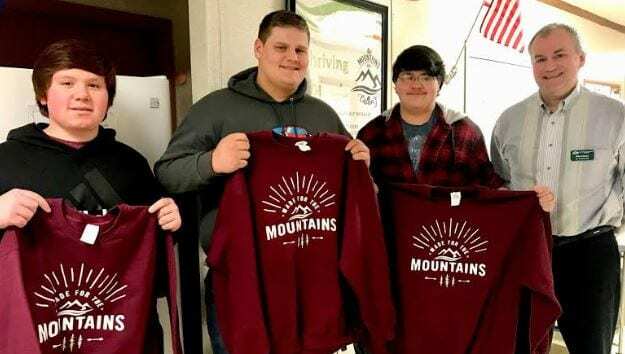 Mr. Putman, the school administrator, was so proud to give them these awesome sweatshirts for their hard work! 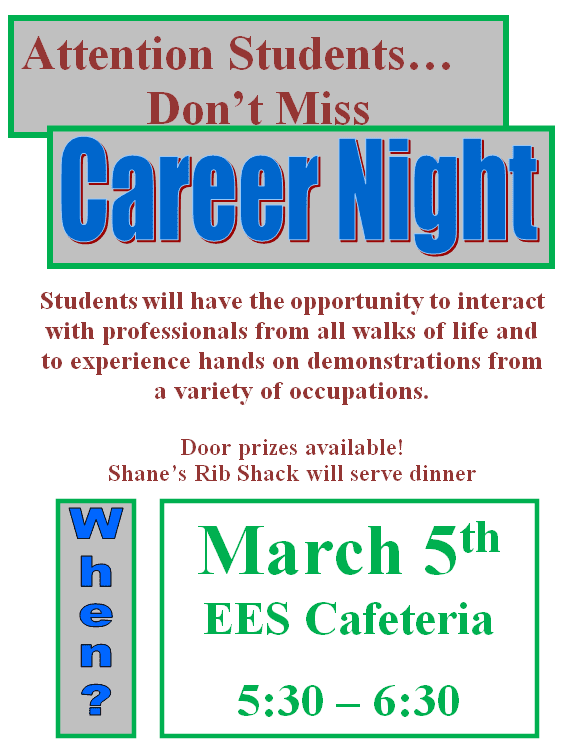 Students Don’t miss this great upcoming event! The Ellijay-Gilmer County Water & Sewerage Authority (Authority) experienced a water main break just south of Simmons Road on Highway 5 South. The isolation for repair of the water main break caused water pressure in parts of the water distribution system to drop to dangerously low levels. When this occurs, a potential health hazard may exist in these areas of zero pressure from backflow and/or back-siphonage of water of unknown quality into the water distribution system. 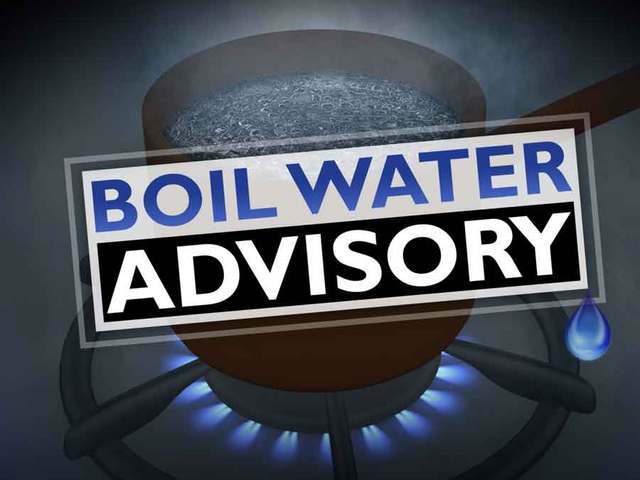 In order to protect the public from a potential health hazard, all citizens that have experienced water outages and/or low water pressures are advised to “boil” all water prior to use for drinking, cooking, or preparing baby food. 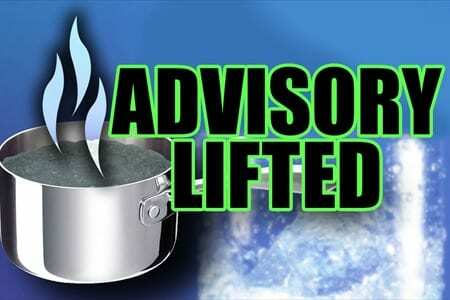 The water should be boiled for at least one minute after reaching a rolling boil. Citizens should continue to boil their water until they are notified by their drinking water utility that the water system has been restored to full operation, and that the microbiological quality of the water in the distribution system is safe for human consumption. The areas affected include but are not limited to: Highway 5 South (south of Simmons Road), Highway 382, Old Flat Creek School Road, All of the Coosawattee River Resort, Legion Road, Sunlight Road, Wingate Road, Old South Farms Subdivision, Rolling Meadows Subdivision, Covered Bridge Estates, Tranquility at Carters Lake, Hidden Hills Subdivision, and the Preserve Subdivision off of Highway 282. 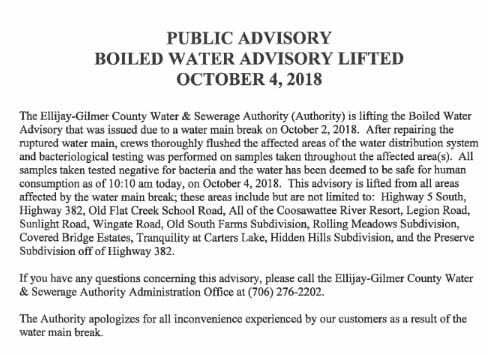 If you have any questions concerning this Public Advisory please contact the Ellijay-Gilmer County Water & Sewerage Authority at (706) 276-2202. 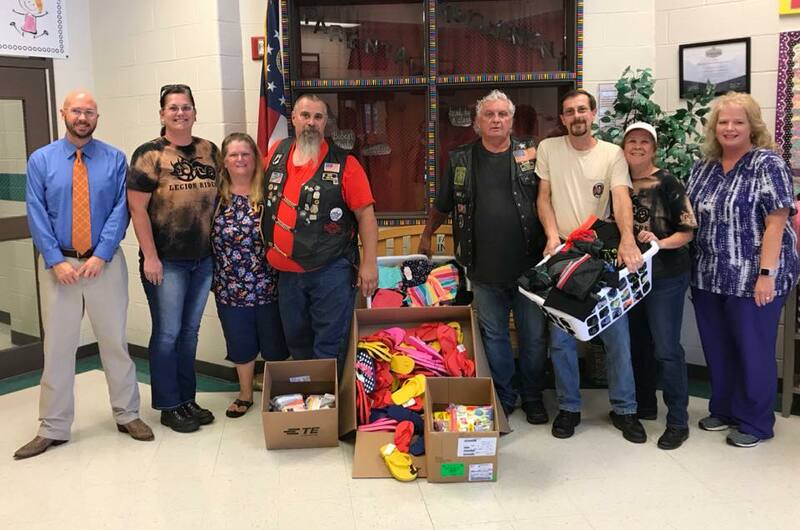 Mountain View Elementary would like to extend a HUGE Thank You to the American Legion Riders for their generous donation of shoes and clothes to the MVE Clothes Closet!